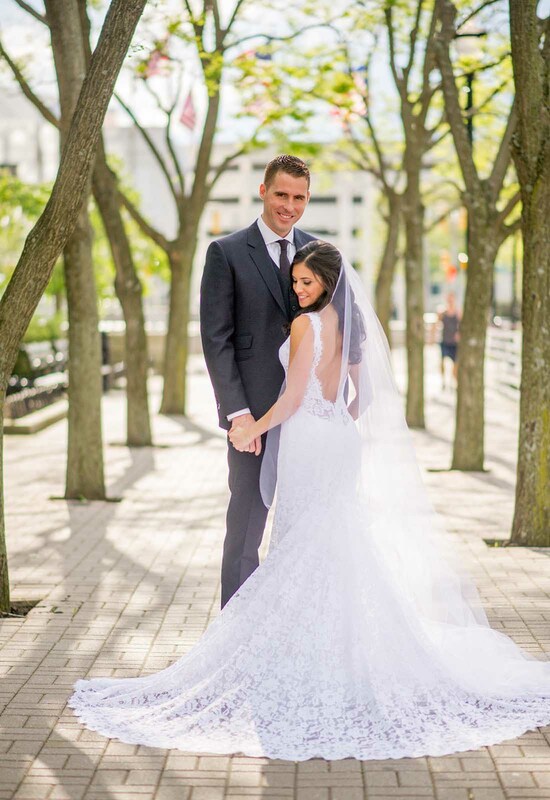 Ally Aldridge wanted a gown that made her stand out on her wedding day. 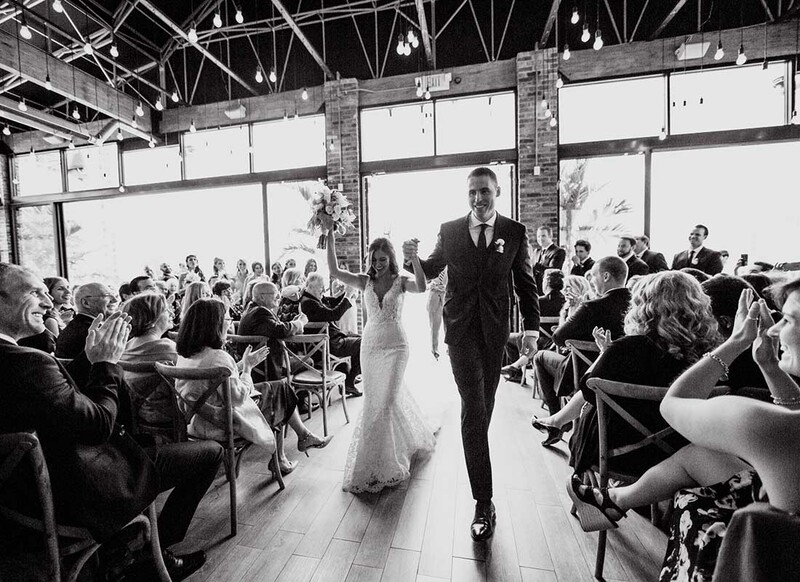 A showstopper that would have all eyes on her as she walked down the aisle to marry her soulmate. 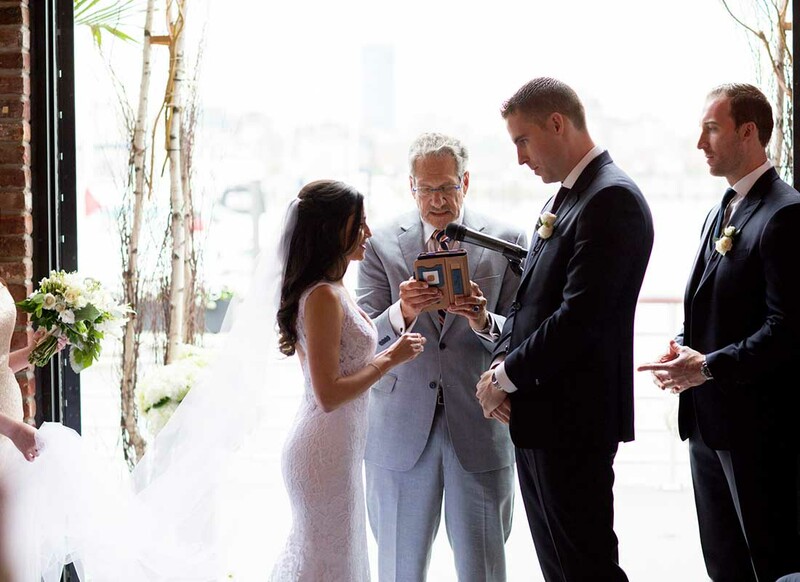 Ally found that in her lace sheath Pnina Tornai gown and when it came time for her big moment on May 14, 2016 at Battello, everyone, including her soon-to-be husband, Ryan Aldridge, couldn't take their eyes off of her. 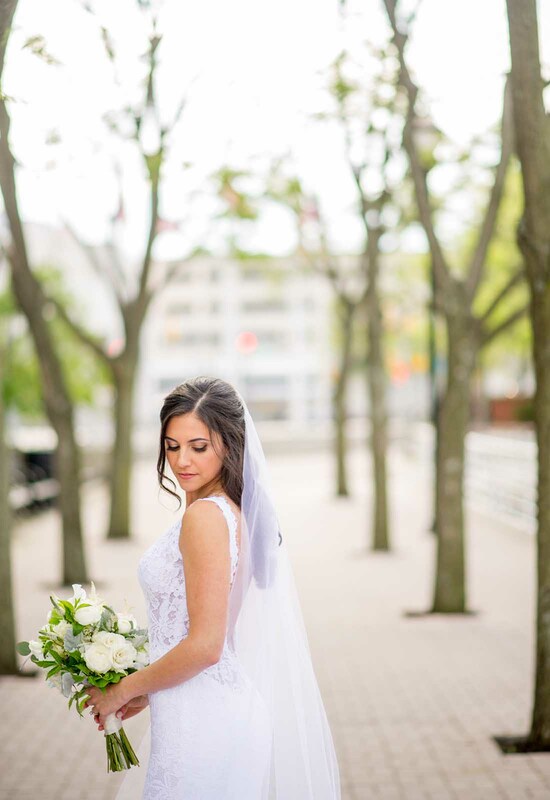 When it came time to go gown shopping Ally knew that Kleinfeld Bridal would be a must. 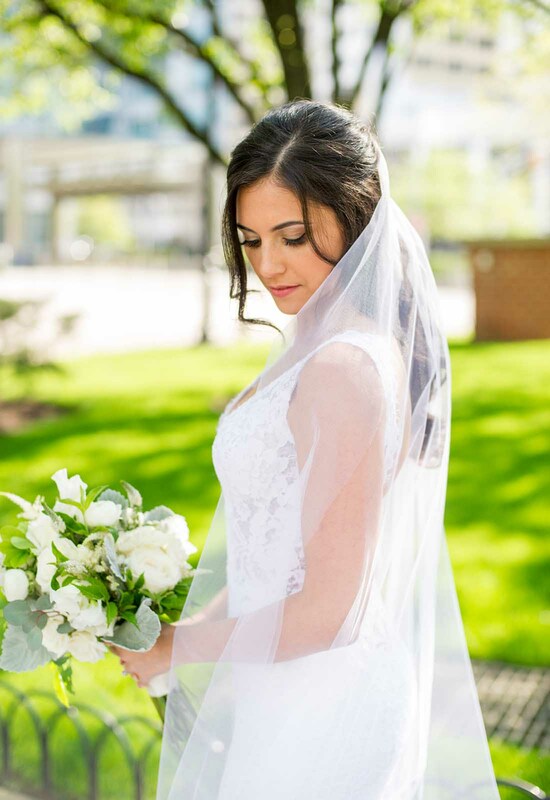 Fun fact: Ally's mother had actually purchased her wedding gown from the famous bridal salon as well! While Ally knew that they would definitely pay the salon a visit, she never really expected to find her dream wedding dress there. It was supposed to be just a fun trip for the family to take together. However, all of that changed the moment Ally walked through the door! 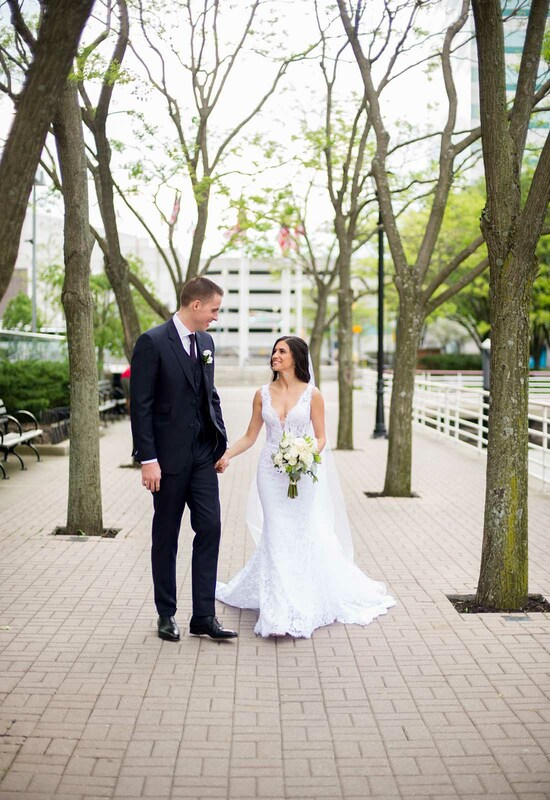 The gown that had stolen Ally's heart with just one glance was a romantic and classic Pnina Tornai lace sheath gown. Drawn in by the exquisite lace and the mesmerizing crisp white color of the gown, Ally was indeed sold. Having tried on other lace gowns at previous salons, Ally immediately recognized that the lace used by the designer of this gown was of much higher quality. So simplistic yet so intricate at the same time, Ally was in love and trying on the gown sealed the deal for her. This gown had everything that Ally had been looking for and more. 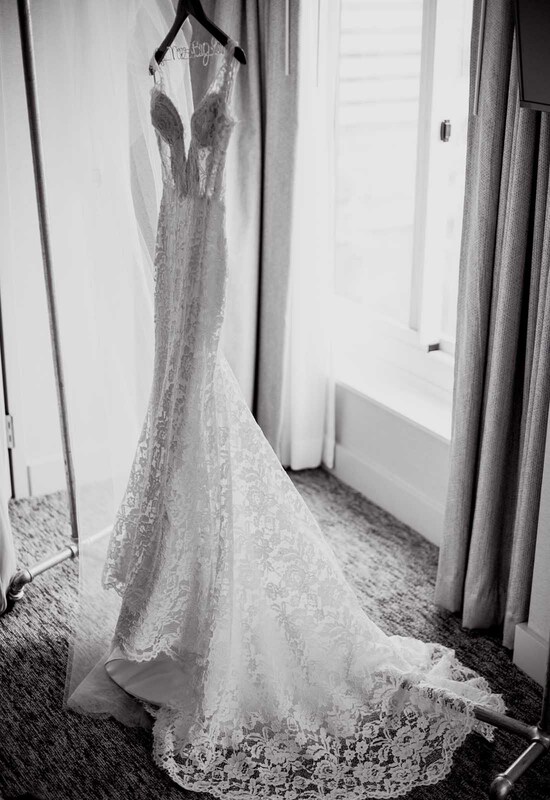 For starters, the quality and beauty of the lace just could not be matched by any other gown. It fit her 5-foot silhouette perfectly and accentuated and highlighted Ally's frame so effortlessly. The dress had an amazing, show-stopping train that brought the desired drama to her ensemble. Lastly, with the neckline and the open back, it had just the right amount of enticing allure to the gown. The only small adjustment made to the gown was a mesh panel added to the neckline for a touch of coverage. 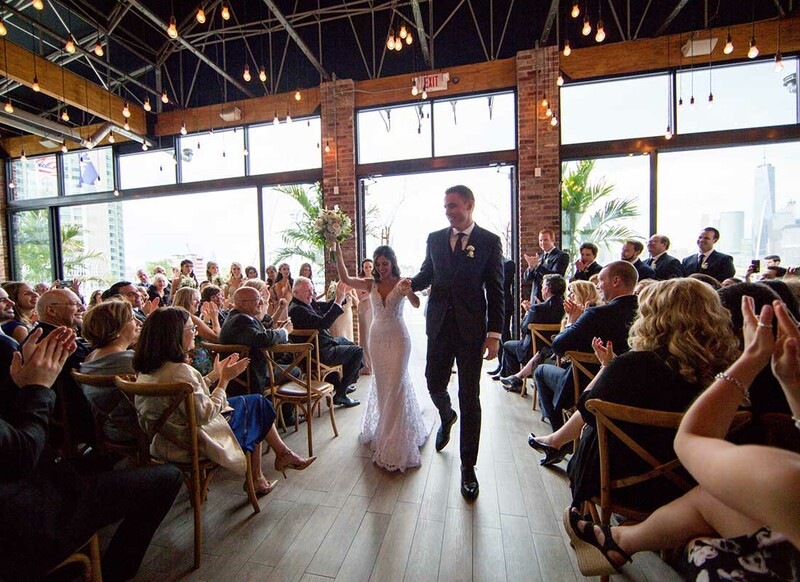 For the relaxed and romantic ceremony and reception that Ally and Ryan had planned, Ally's gown could not have fit the occasion better. Surrounded by her lovely bridesmaids in soft neutral colors, Ally's white gown complemented theirs in a way that was simply magical. 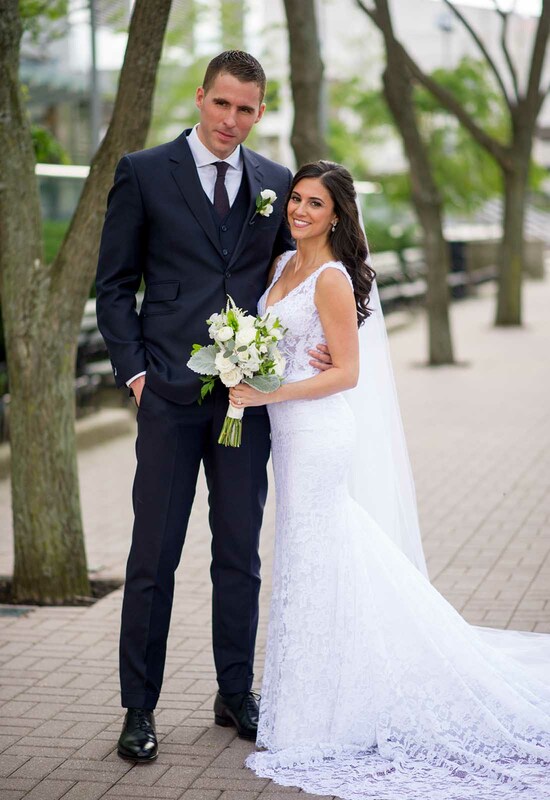 As a finishing touch, Ally added a gorgeous, cathedral length Pnina Tornai veil to her half up half down hair for the ceremony. 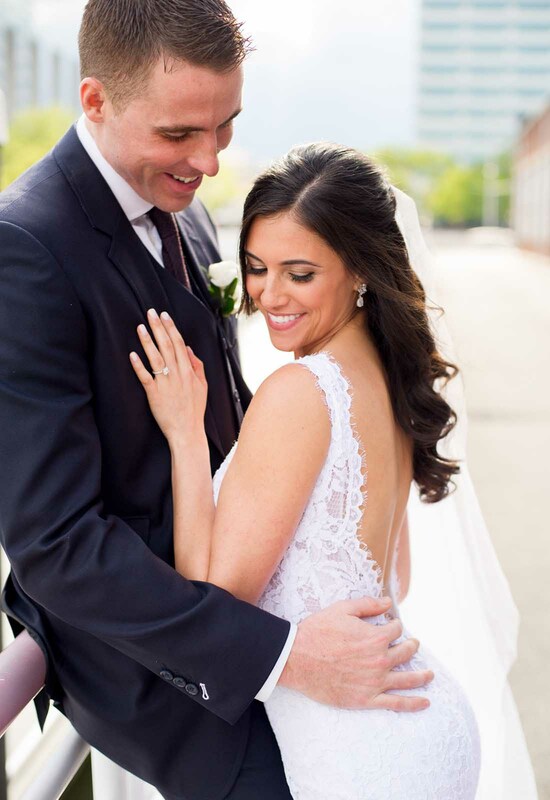 Ally opted for classic drop earrings to accentuate her face and the front of the gown. 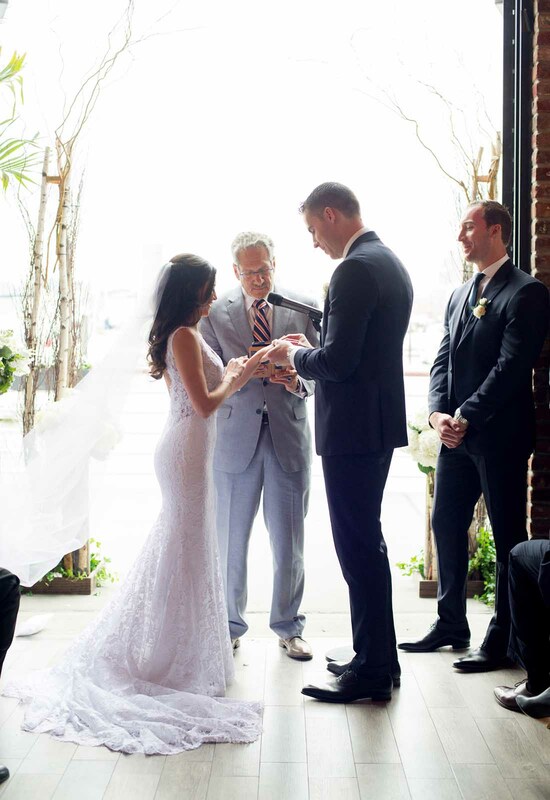 Lastly, as a gift from her dearly departed grandmother, Ally took her wedding band that contained 18 diamonds and had it transformed into an eternity bracelet; a token of good luck in her culture for her special day. 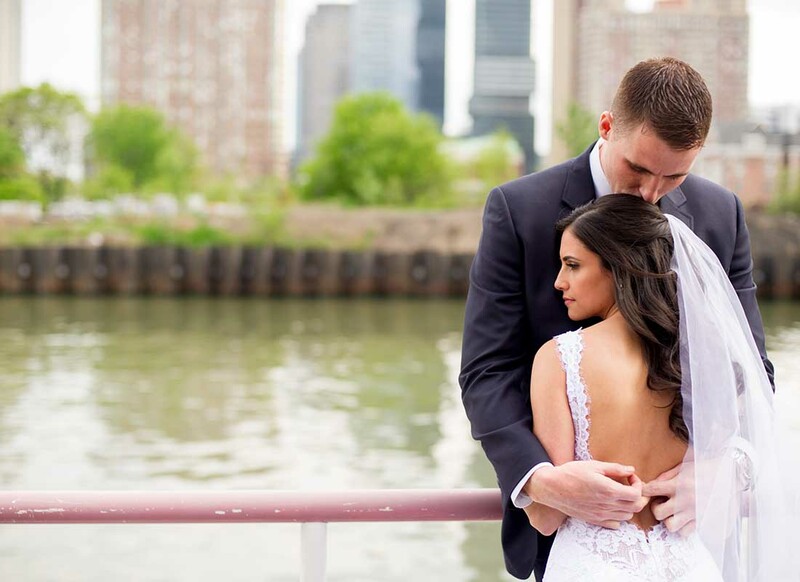 When it came time to put the gown on on her wedding day, Ally knew from the moment she slipped into the dress that she had made the right decision. 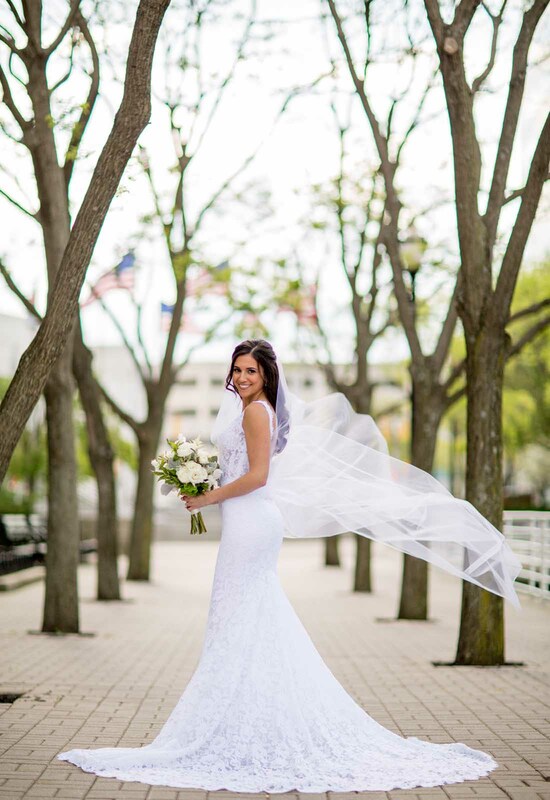 Ally's confidence in the gown showed, and she was absolutely radiant as she walked down the aisle to marry her true love.